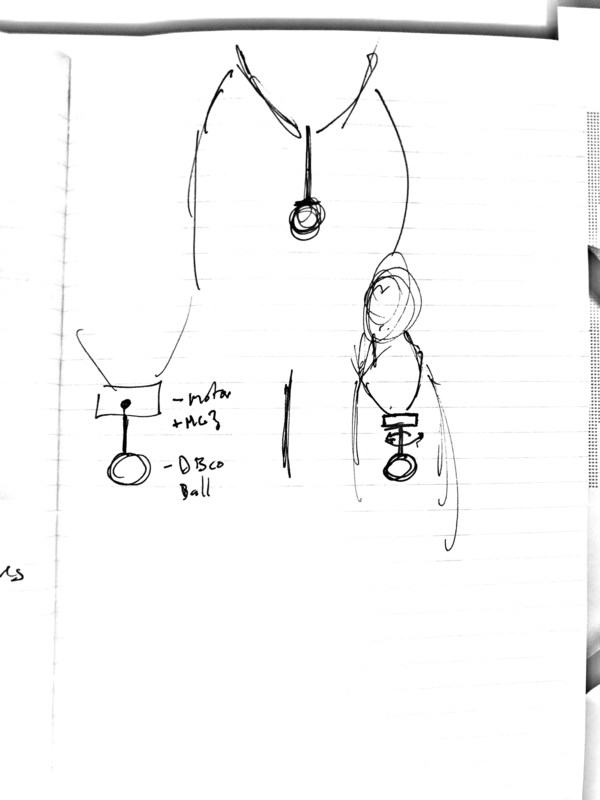 This week, I tried to come up with a variety of ideas for expression or sensing through clothing or a wearable accessory. I have a few options I’d like to get feedback on and pick for the project. 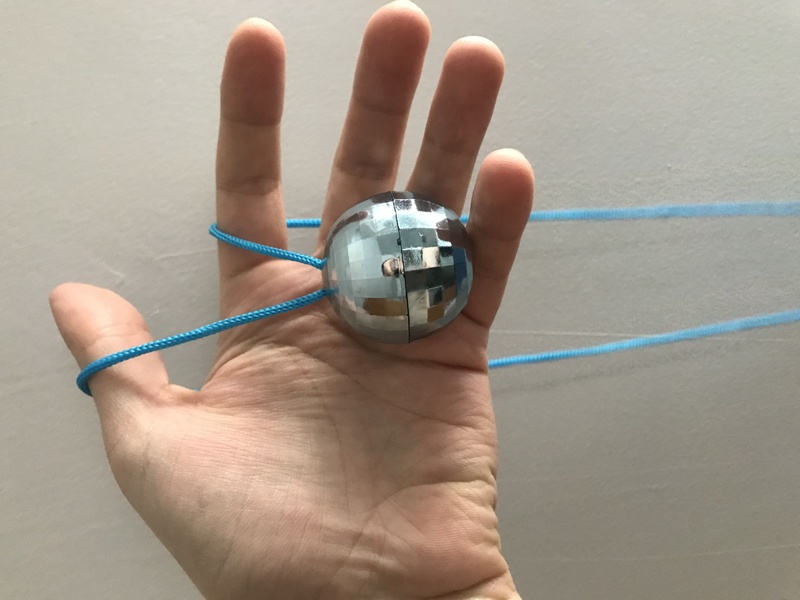 First is a disco ball necklace. I have a non intelligent disco ball necklace and it is fun to wear. I’d like to make it rotate or light up (most likely rotate) when night time arrives. Likely, I’d just use the clock, but it could use a light sensor. Next, I thought about a raincoat that reacted to the rain. When rain hits the garment, lights go off. 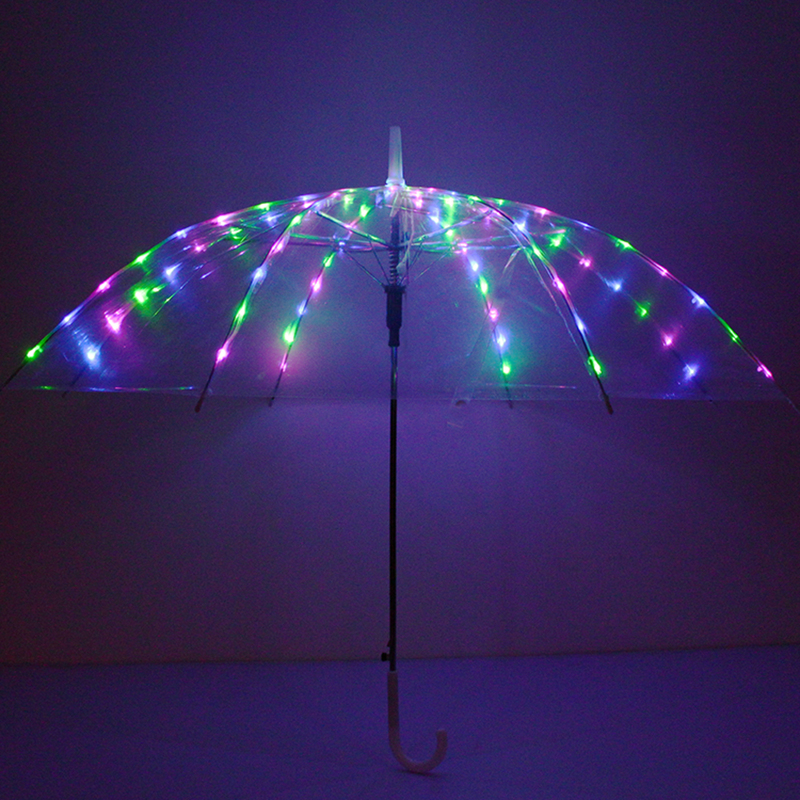 Alternatively, it could take the shape of an umbrella, where the user could even control the lighting modes. 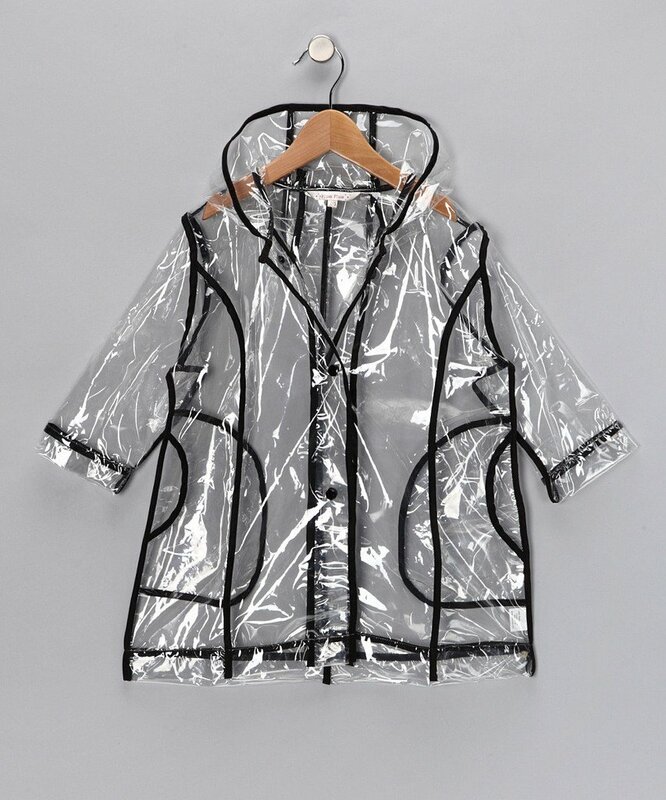 But I’d love to find a way to make the outside of the raincoat or umbrella detect the raindrops and react to them. I’m not quite sure about how to measure this, but there are rain drop sensors that measure resistance / conductivity. A new sense would be a simple wristband that comes in pairs. When activated, it will buzz or blink in response to the distance you are from your friend – like hot or cold. This would be useful at a large event when you lose your friend. In all of these projects, I’m unsure of how you’d fit all the components. With a wristband, even the trinkets seem too big – and can it work with a coin cell? All liPoly’s seem too big for a necklace or wristband. I was interested in rings as well, but again, I do not know how to cram the necessary components into such a small form factor.